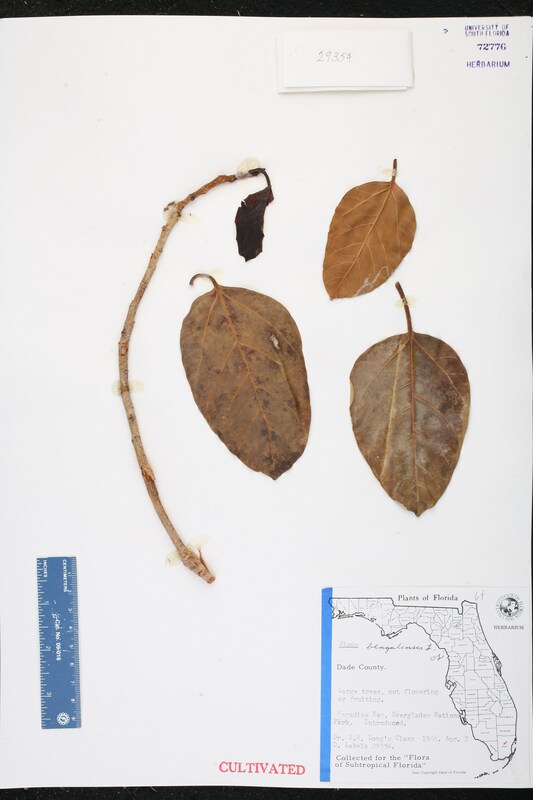 Citation FICUS BENGHALENSIS Linnaeus, Sp. Pl. 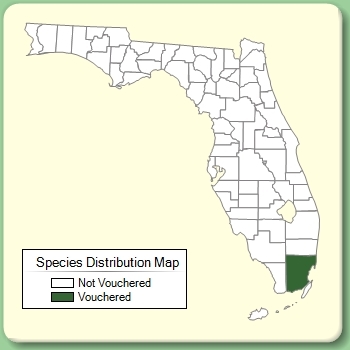 1059. 1753. 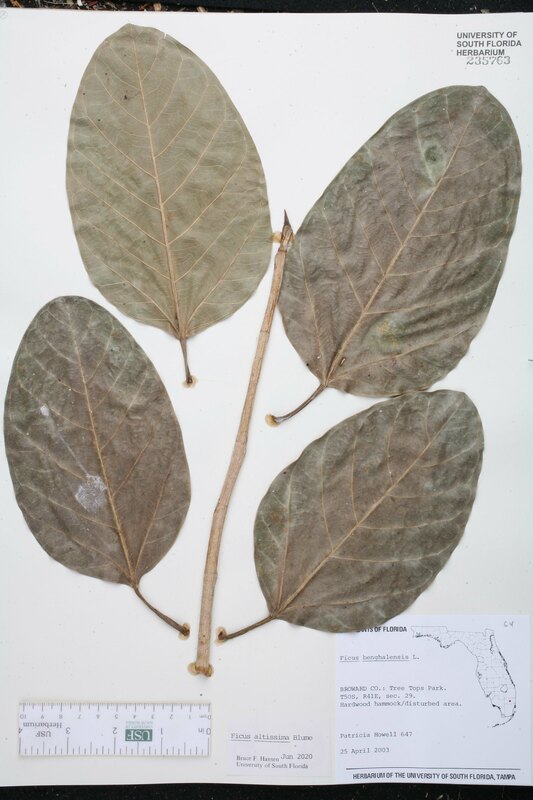 Type: INDIA: Without data (lectotype: Commelin, Hort. Med. Amstelod. Pl. Rar. 1: t. 62. 1697). Lectotypified by Wijnands, Bot. Commelins 153. 1983. Perula benghalensis Perula benghalensis (Linnaeus) Rafinesque, Sylva Tellur. 59. 1838. 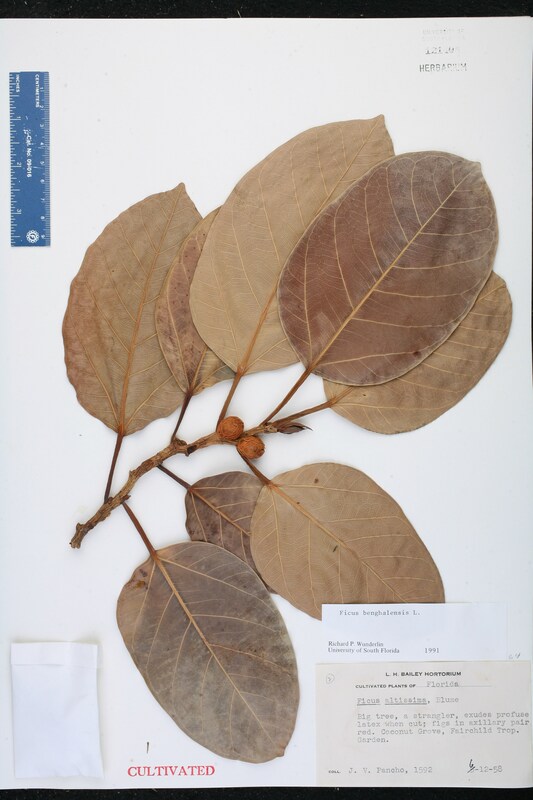 BASIONYM: Ficus benghalensis Linnaeus 1753. 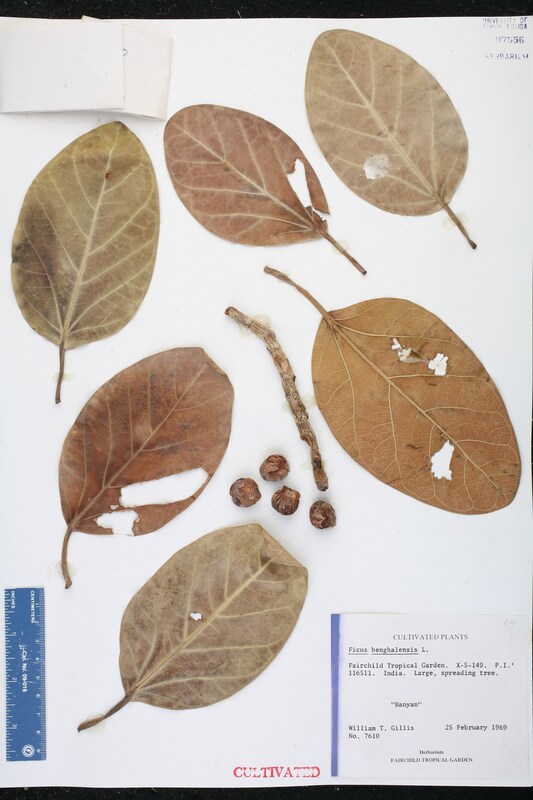 Urostigma benghalense Urostigma benghalense (Linnaeus) Gasparrini, Ric. Caprifico 82. 1845. 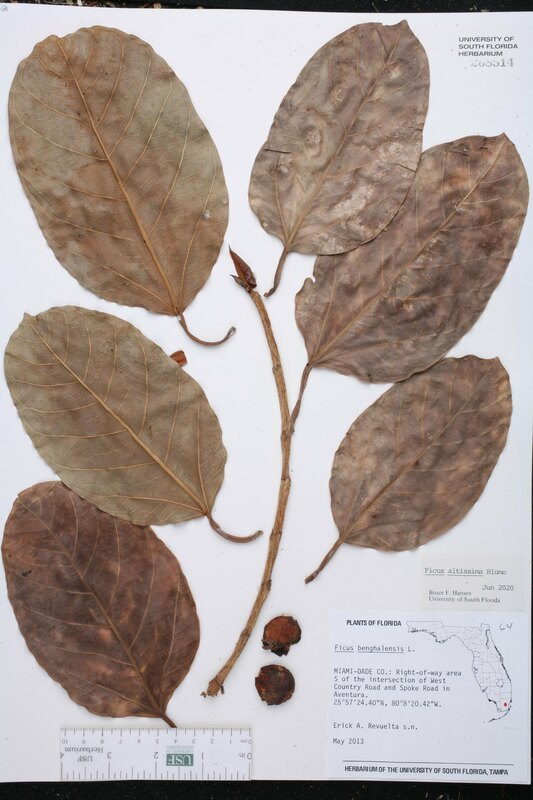 BASIONYM: Ficus benghalensis Linnaeus 1753. 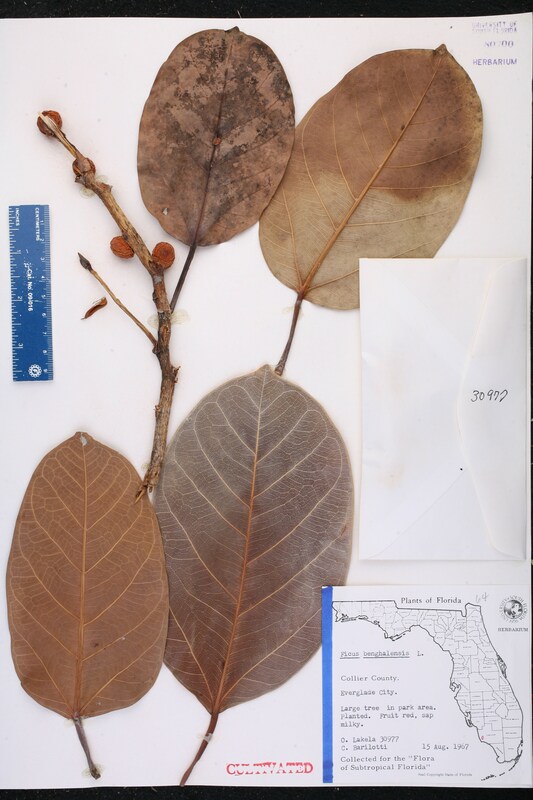 Ficus cotoneaefolia Ficus cotoneaefolia Vahl, Enum. Pl. 2: 189. 1805, nom. illegit. 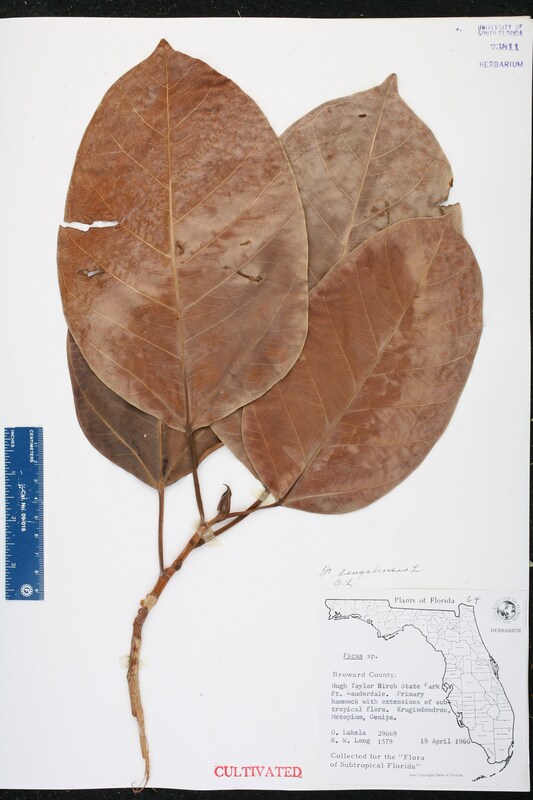 BASIONYM: Ficus indica Linnaeus 1753. USA Florida Miami-Dade Co. May 2013 E. A. Revuelta s.n. 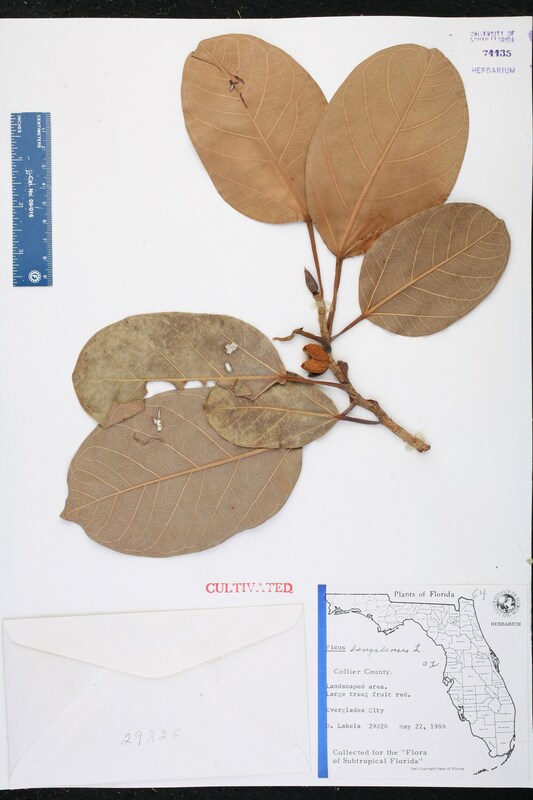 USA Florida Broward Co. 19 Apr 1966 O. K. Lakela 29669 CULTIVATED. USA Florida Collier Co. 02 Feb 1967 G. R. Cooley 11861 CULTIVATED. USA Florida Miami-Dade Co. 12 Jun 1958 J. V. Pancho 1592 CULTIVATED. USA Florida Collier Co. 15 Aug 1967 O. K. Lakela 30977 CULTIVATED. USA Florida Collier Co. 22 May 1966 O. K. Lakela 29826 CULTIVATED. 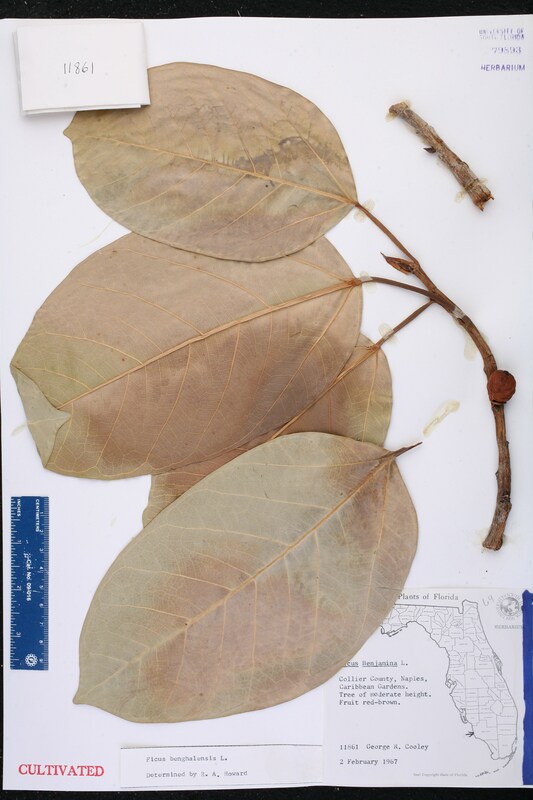 USA Florida Miami-Dade Co. 02 Apr 1966 O. K. Lakela 29354 CULTIVATED. USA Florida Miami-Dade Co. 25 Feb 1969 W. T. Gillis 7610 CULTIVATED. From India.